I wanted to make a wall hanging to celebrate the Christmas season, and a bit beyond. Red and green were just not going to do it. So, while wondering around in JoAnns, I happened across the book "Quilting in Black and White". 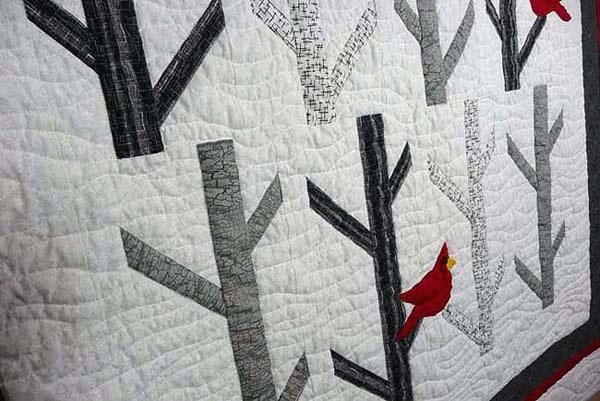 Thumbing through, I fell in love with the White Birches quilt. Perfect! I had plenty of black, grey, and black on white prints, plus a snowflake fabric for the background. Only problem--the blocks were 9"x18"! Way too big for a wall hanging. Determining that 6"x12" would work, I figured out the proportionate pieces, and did a test block. Branches were a bit big, but after taking in 1/4", the blocks looked great, and I was off to sewing! 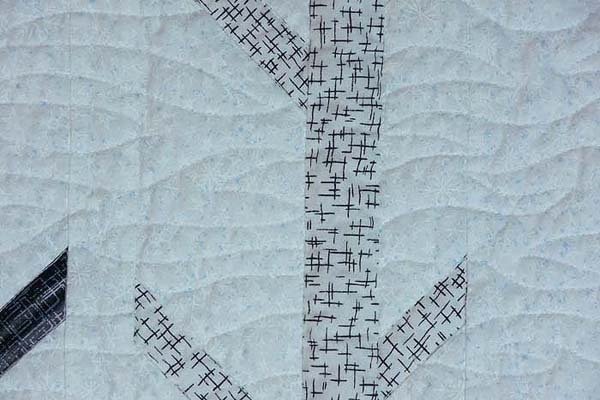 For the quilting, I did gentle waves that went back and forth, matching up the wave lines on either side of the trunks. Gives the quilt a nice snowdrift look. 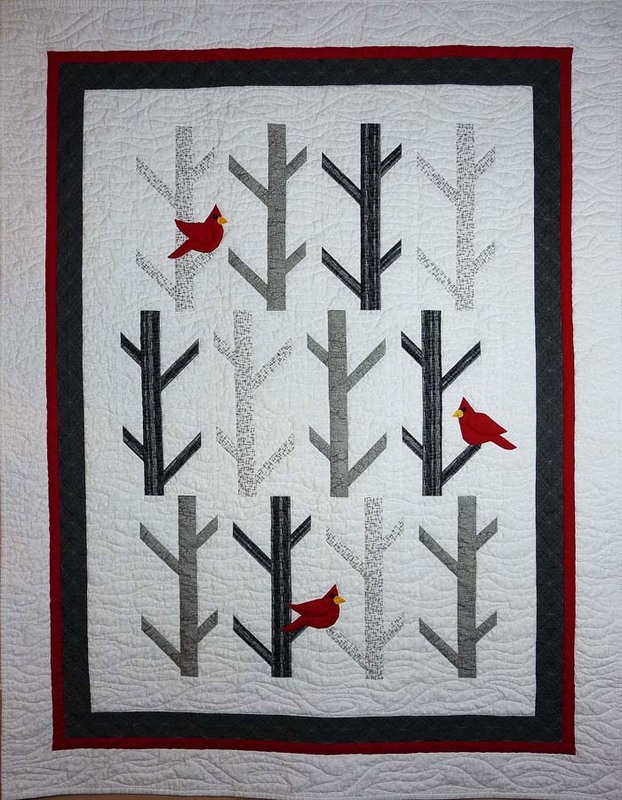 So, if you're looking for a wonderful black and white quilt for the holidays, give this a try! You can find the pattern here. where can I get this pattern? love it!